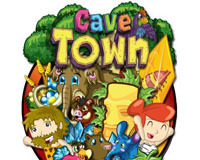 Cave Town is a social City Building and Farming game by IkiGaming, available on Facebook to play for free, where you go back to the Prehistoric Era and found your own cavemen’s town! 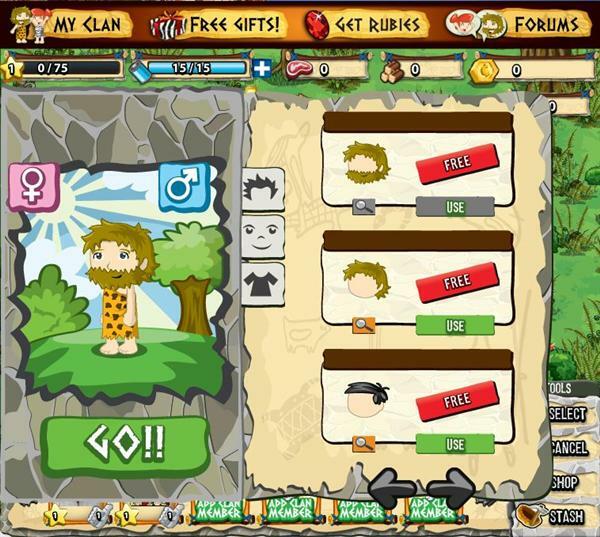 Cave Town the Flintstones CityVille and FarmVille together, with great detailed graphics and animation, from the type of animals to the trees and crops, this is a very well accomplished Prehistoric themed game. 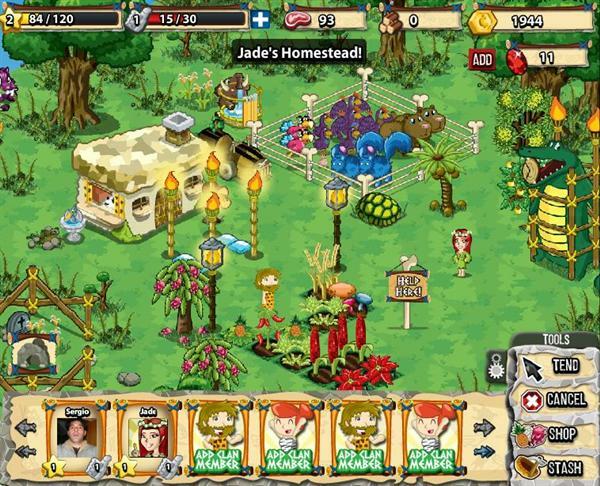 You start by choosing your character look, and you have to start building your town from scratch, clear the land feed some animals and collect some crops. 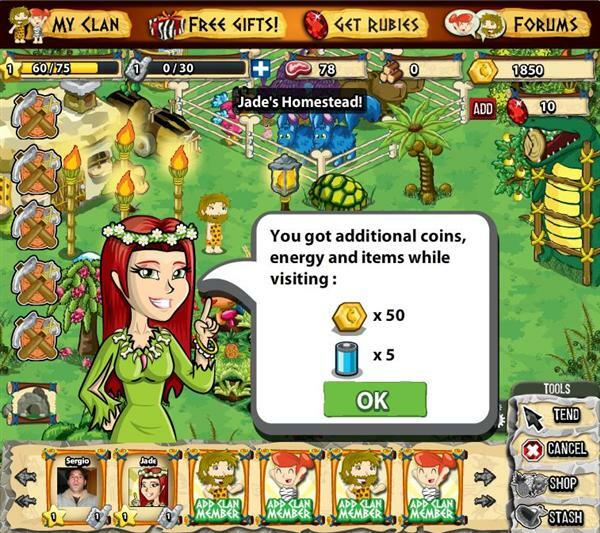 Then you have to build you first stone house with the help of your friends and expand your prehistoric settlement. 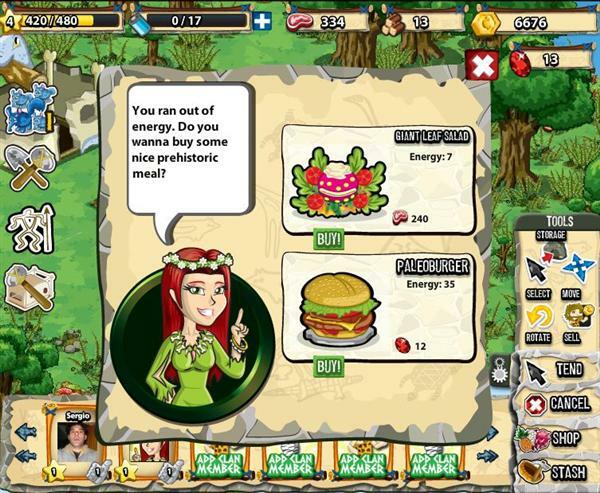 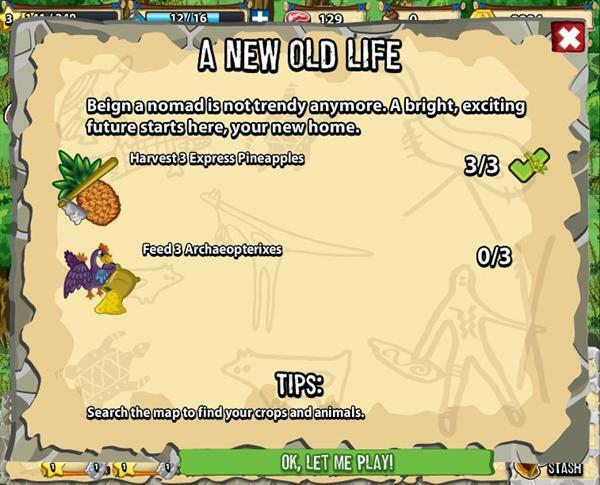 The game uses the usual energy/experience scheme, but you can use food to buy extra energy when necessary, also things like planting crops doesn’t use energy. 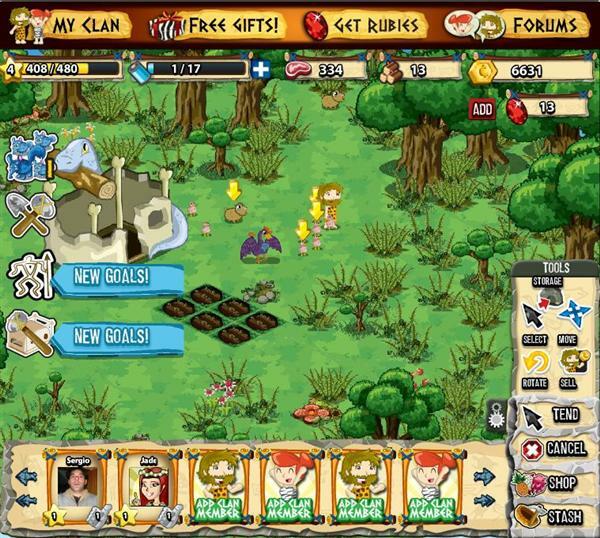 Resources are dived into food that you get from animals, crops and fruit trees; wood from chopping trees, coins and gems. 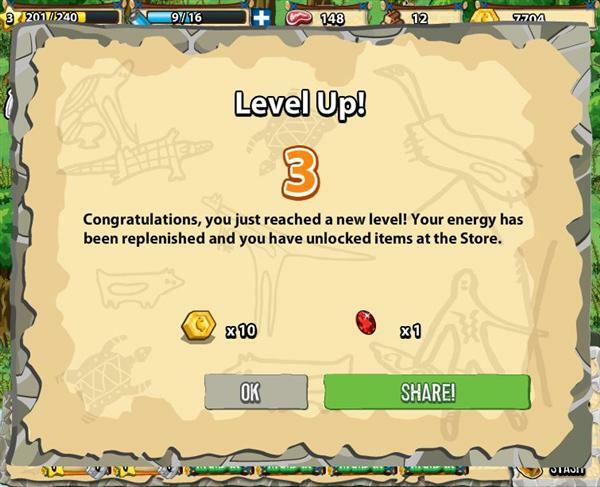 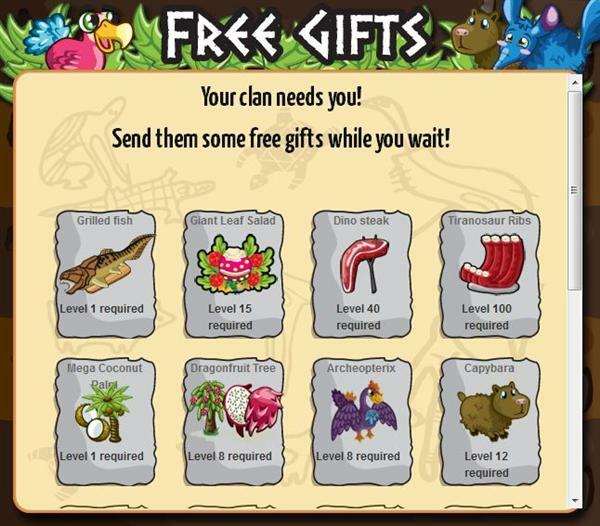 Cave Town features the usual social mechanics, friends can be invited to your clan and you can send gifts and visit to help in the daily 5 action limit.